What is it about Cork and Dublin rivalry? Recently I was at the inspiring IGNITE UCC graduate innovation programme launch event whereby this years participants were introduced to the attendees. One after the other. each of the enthusiastic new entrepreneurs stood up and very quickly pitched their business idea to the audience. The simple routine was, ‘My name is ..and my idea is..‘. We heard one good idea after another and then it came to Eileen Weadick’s turn. “Hi, my name is Eileen Weadick, I’m from Dublin and I hope you don’t hold that against me!” She went on to tell us about her company, eXtensicon that offers a technical content service for companies mainly in the Information Communications Technology sector. Eileen was one of the only people to mention where she was from. I chatted to her after and asked her why she felt she had to mention where she was from in such a way – no one else did. Even though she has been living in Cape Clear for years she explained to me that she still gets stick from some people for being a ‘Dub‘ or a ‘Jackeen‘. Often it is harmless but sometimes there is a little bit of an edge to it she further explained. While it seems odd and makes no sense that anyone would feel negatively disposed towards her there is a clear and real ‘truth‘ in what she was saying. 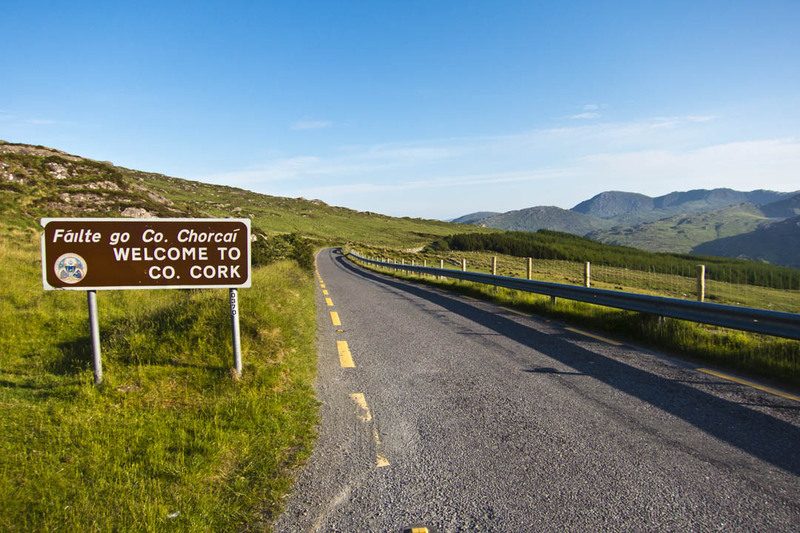 In Cork being very honest we do have an issue with the ‘Dubs‘ and the normal, friendly welcome that we are well known and much loved for, can be put firmly to one side if we hear the wrong accent. Do we think they feel superior to us and do we feel inferior to them? Do we feel they get the breaks that we never get? Do we feel they think we are all from the ‘country‘? Is it so engrained in our history that these feelings are automatically passed down to us? Maybe we feel they might know more then we do and it is our automatic defence mechanism? I spoke to a guy from Dublin last week about the whole Cork/Dublin dynamic and he said he spent three years trying to ‘crack’ Cork but he never succeeded – he reckoned being from Dublin was the reason for his lack of success. When we worked on the Cork Marketing project we found there was no reason to compete with Dublin – we are a modern European city with plenty to offer in our own right. If truth be told and we were to compare we have the distinct advantage of having a more relaxed and better quality of life. When I worked with Guinness in Dublin I was surprised how enjoyable the whole experience was and how the anti-Cork feeling that I was expecting before I joined never, ever materialised. We work a few days a week in Dublin and I do find myself stressing to anyone we meet that we have a real office there and often I wonder if my Cork accent is a disadvantage to doing business. Based on my experience I genuinely don’t feel there is a similar prejudice against Corkonians but they do want to know that you are physically there and that you are up to the job in a larger market. Once you convince them of that you get business on merit. While local knowledge is valuable and priceless, so too is a fresh perspective. Why not enjoy both equally and have the best of both worlds? Greg Canty is a partner of Fuzion who have two Dubs working for us in Cork! This entry was posted on October 21, 2014 at 11:20 am and is filed under Destination Branding, Equality, History, Recruitment. You can follow any responses to this entry through the RSS 2.0 feed. You can leave a response, or trackback from your own site. I think it has more do with perception than fact. Much like in the US. The North and the South! Dublin is like London or NYC it really isn’t the same mentality as upstate New York or say Lincoln in the UK. People from larger cities tend to run at a very fast pace and not be very relationship orientated; which is something you need to be good at in medium and smaller cities. Great point Jenni – the scale of the place often sets the behaviour, tone and the mood. When it is more hectic everyone has less time for niceties, which makes smaller cities a great place to live in once the amenities are in place so the opportunities are just as good. Is it not friendly rivalry? Like Munster v’s Leinster in rugby or Cork v’s Dublin football. And we both enjoy a bit of a wind up. You could be right Bernard but I do personally feel there is a little more to it than that. I would agree with that- I think that the issue that Corkonians really have with (power brokers in) Dublin is a perceived unwillingness to share resources for example, the ongoing issue with Cork Airport and the DAA, funding for necessary infrastructure etc. Arguably its up to our local TDs and Cllrs to make the case for this at a national level. Personalising perceived differences is pretty small time. I would also agree that the promotion of Cork should focus on why its different to Dublin/Belfast/ anytown UK for some of the reasons that you have previously mentioned, Quality of life, vibrant arts and cultural scene, maritime opportunities etc. There is a perception in Dublin (my city) that Cork people will only buy from/ deal with other Cork people. There clearly is some small truth in it. However I would be totally unaware of any anti-Cork feeling in Dublin. I have personally always put it down to “second city syndrome”. However I dont think this perception helps Cork as it means a lot of people will bypass Cork as its seen as too tough to do business there. I think Cork people should, if promoting Cork, just promote Cork and forget about other cities. Dont compare yourselves to other cities. It really does not matter where one is from. I am hoping to develop my business in Cork. I work in the Technology Sector and Cork has some great Technology Companies. Most of them bypass Dublin for an International Perspective…and rightly so. End of conversation but after that we got on really well. Its all about the banter.